la potion: Use the cream once or twice a day on your face, eyes and neck. 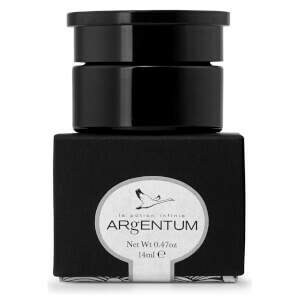 For optimum potency store la potion infinie at room temperature, away from direct heat, sunlight or any magnetic source. la potion infinie is unisex and has been formulated for all skin types and ages. Once opened, use within 8 months. l’etoile: After applying la potion infinie, warm a warm a drop of l’étoile infinie in the palm of your hand and gently apply to the contours of your bone structure, patting or massaging in circular motions. Alternatively, combine a drop with your application of la potion infinie to leave a luxurious, cushioning feeling to your skin. l’étoile infinie is a super light, dry oil that can be used day or night. le savon: To activate your bar of le savon lune, hold momentarily under running water and then use your hands to create a mild lather that can be applied in circular motions around your face and neck. This deep clean action will hydrate your skin, tighten pores and effectively remove make-up. Splash or rinse with warm running water and then pat dry. Use twice daily or as your beauty routine requires, but always before you apply la potion infinie. To protect your bar of le savon lune it should not be left in water or on a wet surface. la lotion: After applying, you may notice an immediate tightening and firming effect on your skin. la lotion infinie is a revolutionary moisturiser that is instantly absorbed to deliver intense hydration, without leaving an oily, sticky layer. With prolonged use la lotion infinie will help to correct small cutaneous imperfections and will assist in the rebalance of the epidermis, whilst soothing the skin by strengthening its barrier against oxidative stress. la lotion infinie is unisex and has been formulated for all skin types and ages. We have used our signature scent to lift your spirit and give you a feeling of well-being. Save 20% on selected Argentum.